Cars are a big deal. They've shaped the world over the last century, so it's pretty natural that we're all interested in them. But if you want a nice car, you're going to have to pay more. And if you want a really, really nice car... it isn't going to be cheap. The most expensive cars in the world aren't the newest. When someone drops tens of millions on a car, they want more than bells and whistles and power locks and windows. They're looking for a sense of history, which is why the highest priced cars ever are usually more than fifty years old. So, for those of you thinking you're going to see state of the art vehicles listed here, that'll only be the case if you're from 1950s or '60s. But if you want to know what famous models or race winners went for, you're in the right place. These are some of the most important racers in the world, designed by legends of the track. Sold at auction by Bonhams in 2014 for $38,115,000. The GTO won the FIA GT World Championship two seasons in a row. Only 39 of the models were built, but this particular car was the best maintained. Sold at an Artcurial auction in 2016. 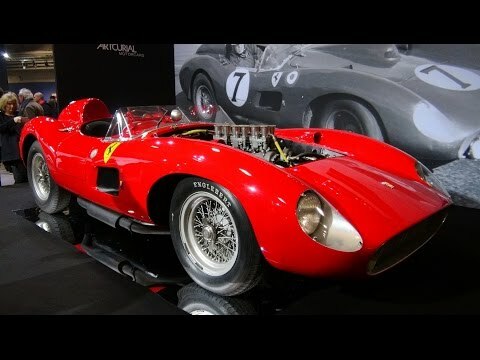 A tense 11-minute bidding war erupted between international collectors over the car before one of them finally acquired the car for a cool $35.7 million. The car driven by Juan Manual Fangio during his victories at the 1954 German and Swiss Grands Prix, it was sold at Pebble Beach in 2011 for $29.6 million. It was originally predicted to sell for $7.6 million. One of just four in the entire world, the 290 MM model was built by Juan Manuel Fangio and never crashed, despite an eight-year racing career. It sold for $28 million at an auction in New York in late 2015.